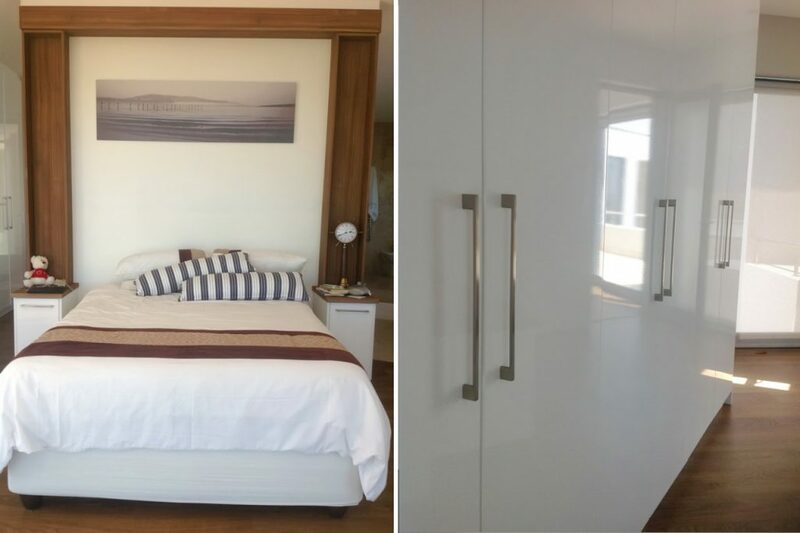 CupboardLine installed these breath-taking bedroom cupboards in a white High Gloss PVC Wrap finish. 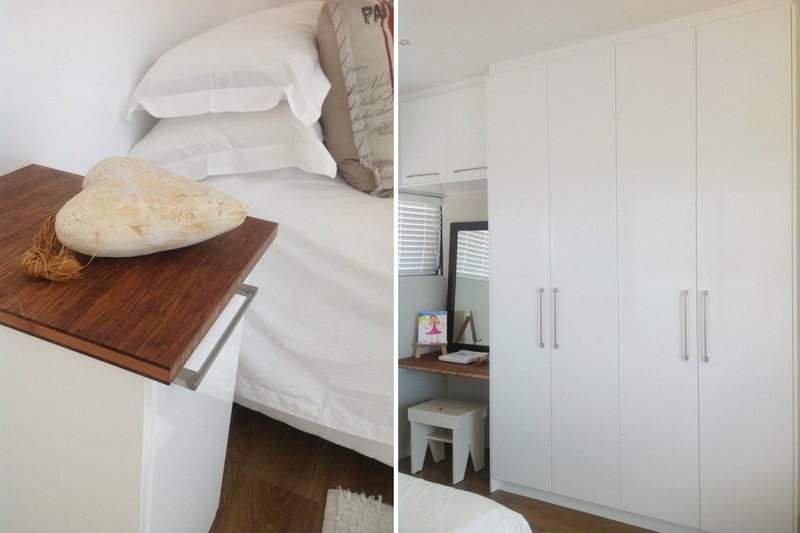 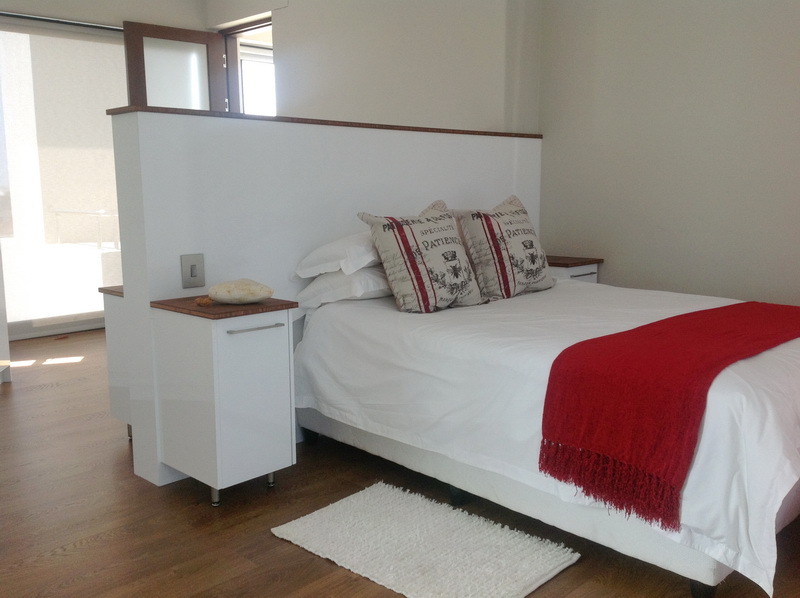 We fitted Neptune handles and installed Bamboo surfaces on the bedside tables. 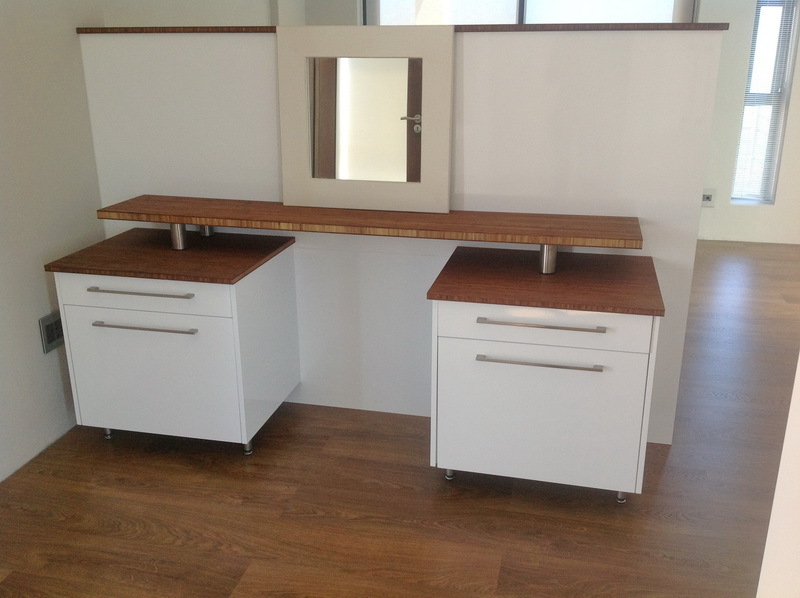 View our new range of PG Bison High Gloss boards available at any of our showrooms.